Anyone who works in HR knows: employee records add up. Between your records for past employees, current employees, and possible hires, it’s almost impossible to keep track of all the paperwork you have to deal with. Is there a way to cut down on all of this? 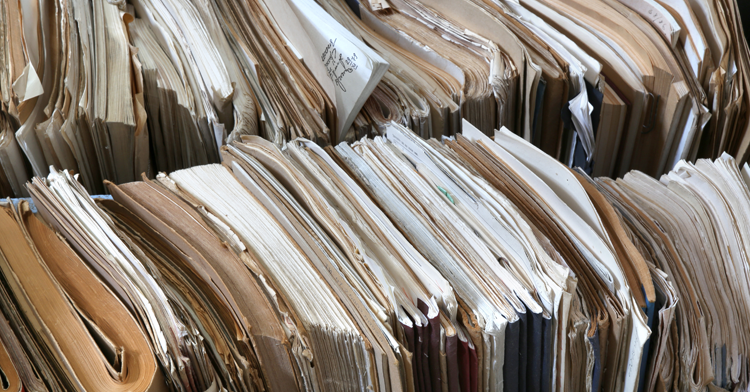 You can keep your paperwork collection from getting too large by getting rid of old files. But there’s a certain amount of time you need to keep them before throwing them away. Here’s how long to keep employee records. These rules are not flawless, but you should be keeping these files at least for this long. Sometimes, state laws and federal laws differ. For example, here in Indiana, Payroll records need to be kept for 10 years, not 3. This is just one example of how things can be different. When you notice any of these discrepancies, you should follow the longer rule. In our example, that means that you should be following the state law. But the state law is not absolute. If the federal law is longer, then you should follow that one instead. It can be difficult to figure out when and how to keep employee records. And if you’re already running a business, or doing a thousand other HR jobs, how are you supposed to keep up on when these records are too old? If you’re taking care of records on your own, it’s easy to let them pile up as you focus on other things. Want to keep employee records safe? What you need is records management. Professional records management will store all of your records for you, keep them organized and, most importantly, destroy them when the time comes. This keeps them out of your way when you don’t need them, and clean and organized when you do. But, you may be thinking, this comes with its own set of problems. What happens if you need the files? A lot of the time, you might be worried about getting them on time. When you need a file, you need it right then, not hours from when you ask for it. That’s why we provide our Fort Wayne clients with delivery within minutes, not hours or days. If you’re looking for a records management service that is willing to work with you no matter what the time of day, then we’re your people. Get in touch to see how we can help you today! Do you need a shredding service? Ask yourself these questions: Is time on a budget at work? Do you find that your information management system is being overlooked? It might be easy to push information management to the back of your mind but as soon as you encounter a confidentiality issue, you will wonder why you did not make it a priority sooner. Even minor details can be used to compromise your company’s security if they end up in the wrong hands. To ensure that your company’s confidentiality is maintained with integrity, you should handle information with care. Storage and disposal of confidential records and documents should be a priority and ensuring that information is managed properly can save you headaches and anxiety. Taking the time to make sure that your information management system is streamlined to effectively guard confidential information is crucial. A shredding service can serve as an invaluable resource to maintaining your company’s confidentiality and staying ahead of the curve. 1. A shredding service guards against theft of confidential information. There are reportedly 9 million victims of identity theft each year. If these victims had invested in a shredding service, they would have likely been able to prevent becoming a part of this unfortunate statistic. Shredding documents that can be used to steal identifying information is an effective way to guard against theft. Professional thieves can use your information or your company’s information in catastrophic ways, wreaking irreparable damage. The best way to guard against these invasive criminals is to proactively dispose of any documentation that can be used against you. 2. A shredding service can effectively dispose of large amounts of information. When you are involved with the ins and outs of running a business, you might not realize just how much information that passes through your company, or how this information could be used against you. A shredding service can accommodate the large amounts of documentation that companies often encounter. When left to your own devices, you may not be as responsible in disposing of confidential documents. 3. A shredding service saves you time. When you are crunched for time, disposing of your private information and protecting your company can be shuffled to the bottom of the barrel. A shredding service takes care of the work, so you can take care of the things that you need to. 4. A shredding service is an efficient way to create space solutions. Without a shredding service, many documents and papers will linger around the office far longer than necessary. Shredding can free up large areas of space and eliminate confusion and lack of organization in the office. You waste time and energy sorting through papers, and revisiting piles of documents and mail that need tossing. When you employ a shredding service, you are much more inclined to toss those unwanted and unneeded papers immediately, which clears space for the things that really need your attention. 5. Shredding helps to develop a system for documents that you need to keep and documents that should be thrown out. When you have a shredding service you are more likely to differentiate between those papers that you should keep and those that you should not. Shredding is one way to stay more organized. When you rely on a shredding service, then you are more inclined to stay on top of the piles of paper. You realize that this stack is disposable, so you categorize appropriately. When you have a destination for things, you are more likely to incorporate a system for dealing with them. A shredding service can offer businesses a number of valuable benefits. They help you to stay organized, protect yourself, save time and conserve space. If you need help getting your system on-track, let us help! The New Year is a time to give some thought to more than just personal goals for the upcoming year. 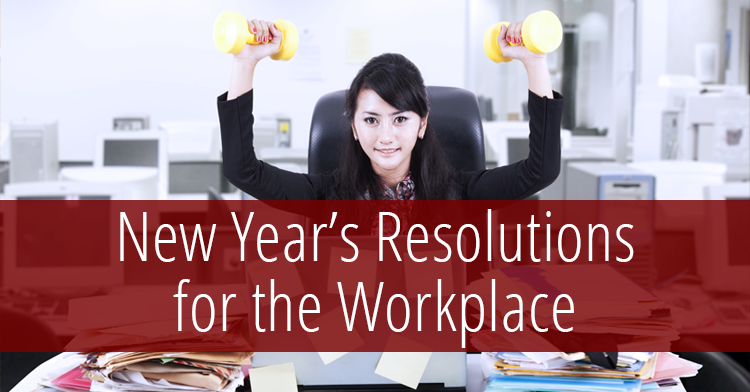 It’s also a great time to set goals for improvements in the office (where we spend so much of our time, after all). Business articles this time of year are rife with suggestions for how to make the workplace better. The most popular suggestions? 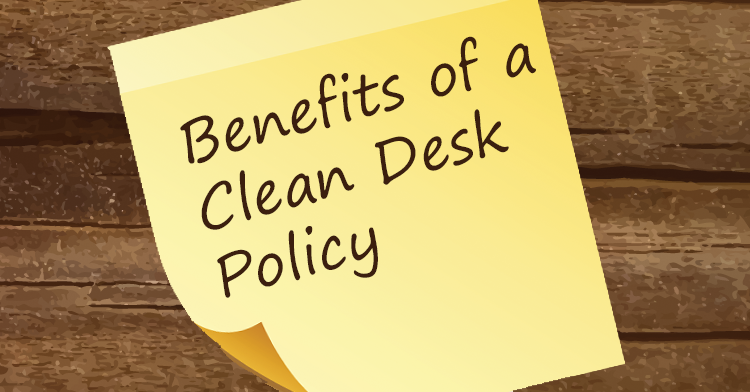 declutter and get organized — desks, filing systems, computer files; now is the time of year to set up systems that will be easy to stick to for the rest of the year such as a clean desk policy. Put information security at the top of your resolutions for 2017! It’s the resolution that will protect you, your business, your customers, and your employees for years to come. Clean It Up, Clear It Out: Office Clean-Up Day! At work, most of us don’t have the inclination or the time to devote to purging old documents and files. Work time is for work! However, dealing with files appropriately is an important task that helps a business run more smoothly AND reduces the chance of privacy or confidentiality breaches. It’s also a waste of space, time and energy to keep resources — information, supplies, equipment, etc. — around that don’t contribute to the company’s productivity or mission. Assign one person or a small team to coordinate the day. Most businesses purge unwanted documents at the end of the year. It’s not only easy to remember but coincides with the fiscal year end. shredded, and what should go to long-term storage. Establish the day and give everyone notice well in advance (with frequent reminders as the day gets closer). Make it clear that everyone is expected to participate. Create user-friendly instructions for document disposal or retention to hand out to all staff. Make especially sure that managers or supervisors understand the rules and can assist staff with questions. Arrange for additional recycling and trash bins; arrange for an on-site shredding company or extra bins to transport files off-site for destruction. 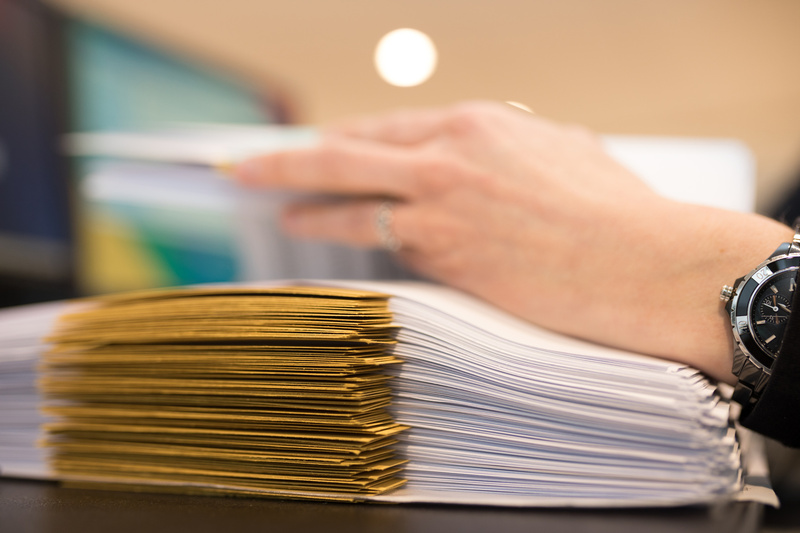 The team at Federal Records Management and Shredding can provide advice and services to make sure your end of year document purge is handled appropriately. 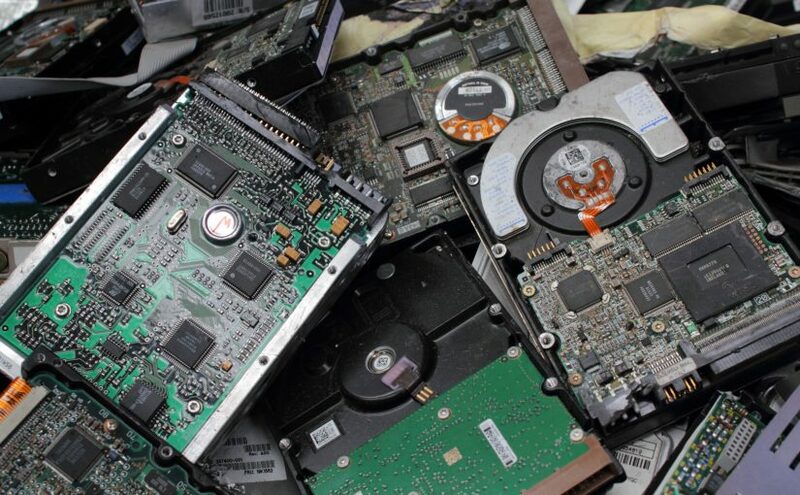 We know all the ins-and-outs of the privacy regulations that affect your business and offer paper shredding and secure hard-drive destruction, as well as secure on-site records retention (with an online inventory system that makes records retrieval easy and fast). Contact Federal Records Management and Shredding today to learn how our services can help make sure your businesses end of year document purge is handled safe and efficiently.